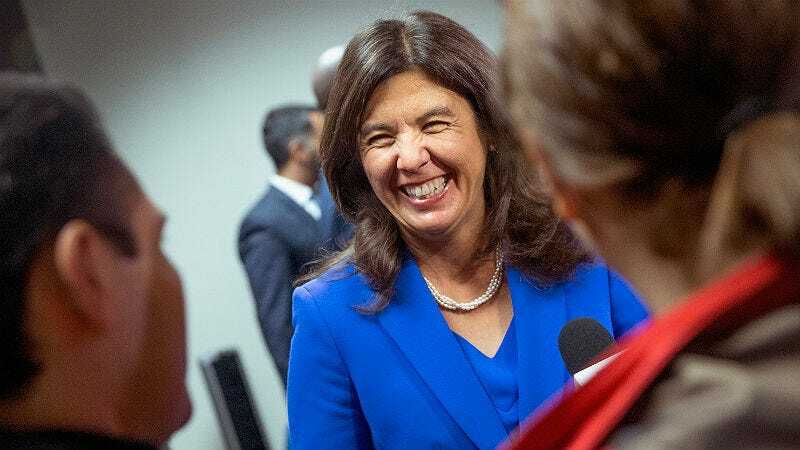 In Chicago, the Laquan McDonald fallout continues as election day comes for Cook County State’s Attorney Anita Alvarez on Tuesday. She’s under fire for waiting over a year to charge McDonald’s killer, and now The Daily Beast reports that Alvarez has failed to file charges against police officers in 68 fatal shootings, all told. Of course, to combat the appearance of shadiness, Alvarez is now preaching transparency through her public relations team, at least. Daly added that “nearly 100 officers from Cook County… have been charged by the state’s attorney’s office.” Chicago’s record of police charges is also better than other cities like Atlanta, according to Daly, where 75 people have been shot since 2010 without charges filed, or in Philadelphia, where no charges were filed against cops from 2007 to 2013. One incident in 2010 involved Tiawanda Moore, a black woman who filed a police misconduct complaint against an officer who she said groped her. When she felt that investigators were intimidating her during questioning, Moore began taping them with her smartphone. Alvarez charged Moore with a felony, saying she violated Illinois’ anti-eavesdropping laws. A jury later acquitted Moore and accused Alvarez of overreach. Recently, in the fatal shooting of a man named Ronald Johnson in December, Alvarez held a press conference explaining why she wouldn’t indict the officers who shot him while presenting evidence to the public, including video, witness statements and more. Perhaps this move towards some transparency will be enough to keep her in office while those who demand justice for McDonald want her out. But, if Alvarez is ousted at the polls, it’ll be a statement. We’ll see what Chicago’s voters have to say about Alvarez very soon, and, to be honest, we’re on the edge of our seats.